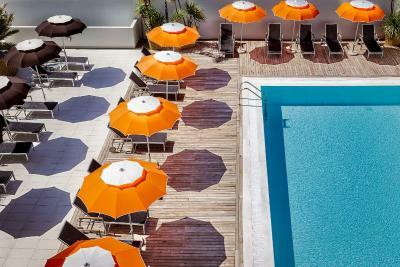 Lock in a great price for Jazz Hotel – rated 9 by recent guests! +Bed was comfortable. +Very close proximity to Olbia Airport (if it is what you seek). +Near shopping malls (if you are in need of something). +Staff is attentive and thoughtful. They were sweet to provide us with complimentary sparkling wine and a bowl of strawberries knowing that it was our honeymoon. It was missing a note though, it'd be the cherry on the cream. +Breakfast was decent. 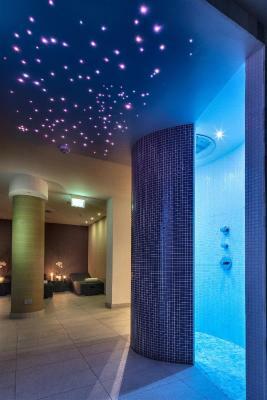 The staff were very helpfull and nice. The food was good and services excellent. 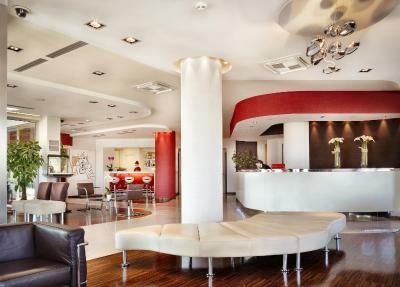 We really enjoyed our stay and recommand this hotel. The hotel is clean and modern and right next to the airport. This suited us as we arrived at Olbia rather late in the evening and the location of the hotel so close with super easy parking was fantastic. The breakfast in the morning was also delicious and abundant. 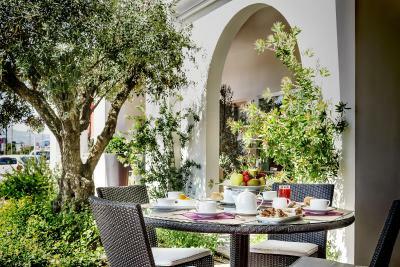 The staff and the room plus the breakfast were all convenient - I was also satisfied with the customer's human quality. There's so much we appreciated during our stay with Jazz Hotel but let me highlight a few; The staff are truly outstanding in customer service! Very helpful and more than happy to make reservations or suggestions on what to do and see. The food at restaurant Jazz was wonderful...we ate there most nights and their free breakfast is excellent. Our room was spotless, spacious and very comfortable. The pool is an awesome additional and we appreciated the free parking. Giovanni at the front desk is a true ambassador at Jazz. Good location between airport (quite close, but nor problem with noise) and city. Public bus connects often and reliable to the city center. All about this hotel is flawless. Great room, very clean and comfortable. Great staff. Excellent food. 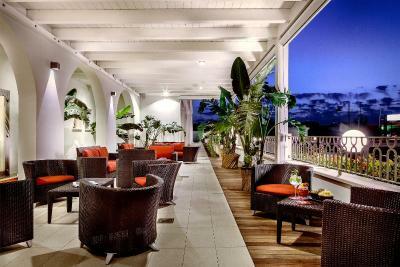 Jazz Hotel This rating is a reflection of how the property compares to the industry standard when it comes to price, facilities and services available. It's based on a self-evaluation by the property. Use this rating to help choose your stay! 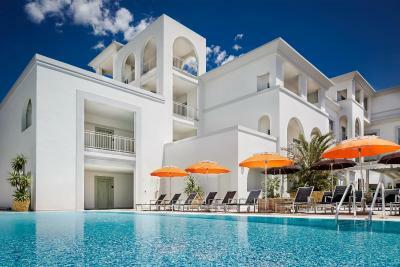 One of our top picks in Olbia.Jazz Hotel is just over a quarter mile from Olbia Costa Smeralda Airport and just over 1 miles from the center of Olbia. 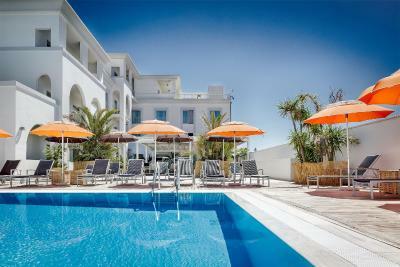 It includes a swimming pool and air-conditioned rooms with an LCD satellite TV. Wi-Fi is free throughout. Your room has a contemporary design and a free wired internet connection. 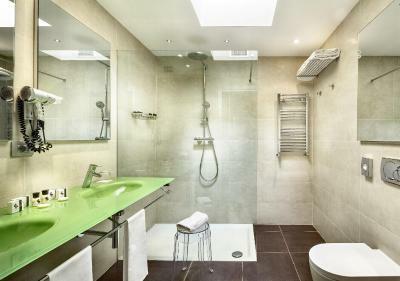 Each includes a private bathroom complete with slippers and toiletry set. 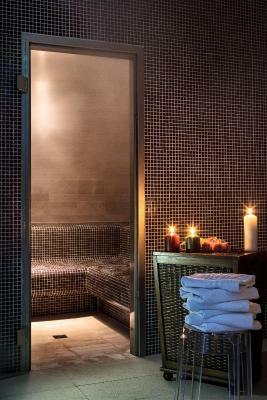 Some rooms have a private terrace and suites feature a spa tub. 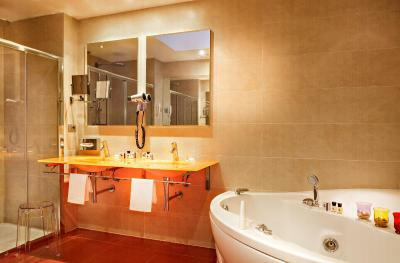 The swimming pool with hot tub is exclusively reserved for hotel guests. 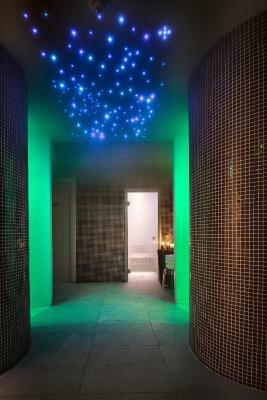 Treat yourself to an emotional shower or Turkish bath and enjoy a herbal tea in the relaxation area. The à la carte restaurant serves an interesting mix of international dishes and is open for both lunch and dinner. 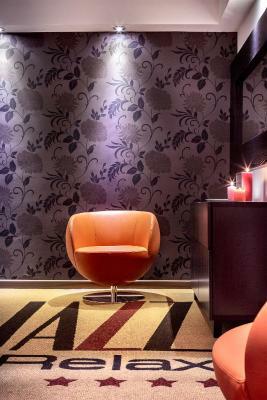 Jazz Hotel has a number of modern conference rooms with a maximum capacity of 110. 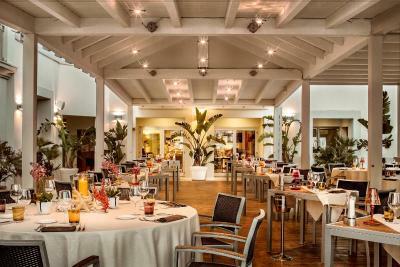 Set between the center of Olbia and Costa Smeralda Airport, Hotel Jazz is well connected to all of the main attractions of the area, plus the island's main roads. 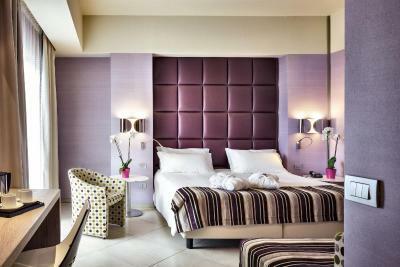 When would you like to stay at Jazz Hotel? 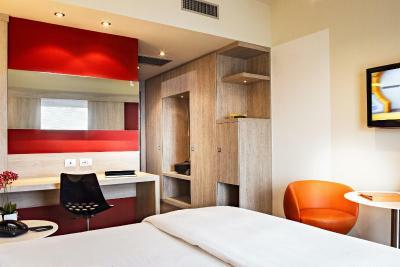 This modern air-conditioned room has an LCD TV, minibar and laptop safe. Wi-Fi is free. 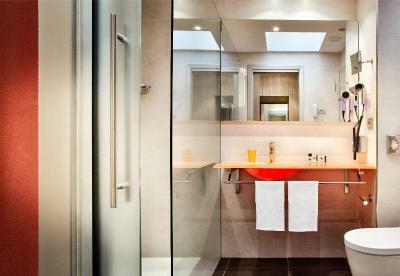 Boasting a balcony and spa tub, this modern air-conditioned suite has an LCD TV, minibar and laptop safe. Wi-Fi is free. 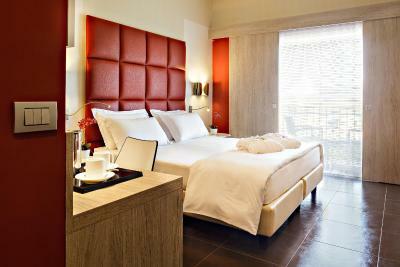 Boasting a balcony, this modern air-conditioned room has an LCD TV, minibar and laptop safe. Wi-Fi is free. 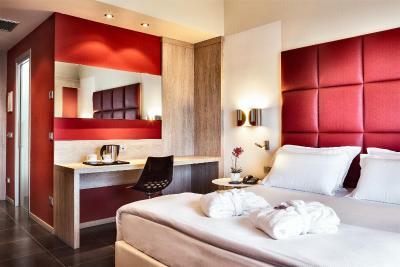 Boasting a balcony, this modern air-conditioned junior suite has an LCD TV, minibar and laptop safe. Wi-Fi is free. House Rules Jazz Hotel takes special requests – add in the next step! Jazz Hotel accepts these cards and reserves the right to temporarily hold an amount prior to arrival. Nice hotel with good food and super nice staff. 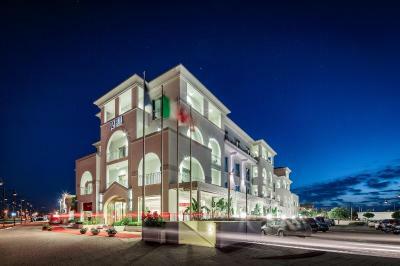 Extremely well-equipped hotel, located at a walking distance from the largest shopping district in Olbia and a few km from the airport. Rooms are spacious and comfortable. swimming pool was closed while the weather was good, but I understand we are in March. Room was very good, modern which I like. 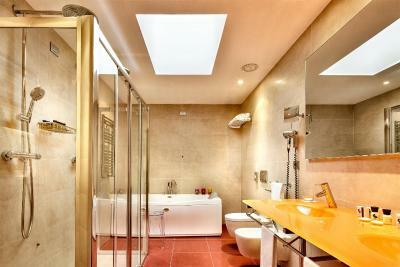 the location is very good, very close to the airport and very close to supermarkets and malls. Fabulous hotel. Excellent location. CLEAN and comfortable. Great breakfast and moments from airport. Near to shopping centre with good shops. Everything you could need really! Super friendly staff (reception). And the hotel has a really nice restaurant. Very friendly helpful staff. Late night check in by staffed reception. Amazing buffet breakfast & in house restaurant meals. Great facilities. Our sliding glass bathroom door stuck regularly, which was annoying, but otherwise, the room was great! The hotel is located near the airport but there was no plane noise. It is not convenient if you want to be in the city center. It also is adjacent to two small strip malls. 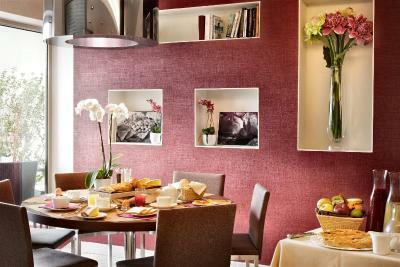 It is very modern, with a breakfast with a wide range of food selections and a barrista. There are no restaurants within walking distance, so unless you have a car, you will be limited to the hotel restaurant or a bar a few blocks away. There are sliding doors that black out the large patio doors that lad onto a nice balcony. The breakfast space is limited to too view tables. The waiter asked if we minded having a family of three on our table. Breakfast itself was superb. Very comfy and well organized, very quiet room, nice pool and good breakfast. Location to beaches and the city center (restaurants and bars) is quite far, either taking the bus or a car is necessary. Bicycles are available as well, but due to the distance and traffic I do not recommend others to use them. Only reason for our stay was the close distance to the airport. Very modern hotel (not Italian holiday type). 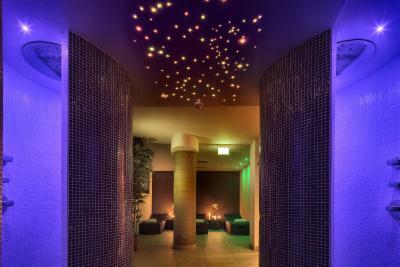 Facilities were all very good, properly maintained or new. 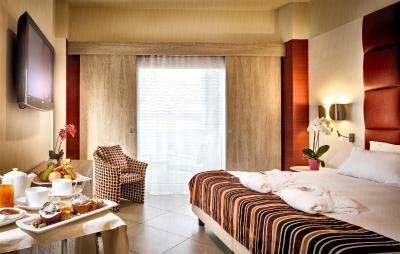 Rooms are spacious and the beds are very nice. Personnel is very friendly and helpful.